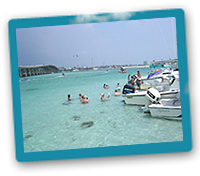 Destin offers stunning white beaches, challenging golf and world-famous fishing define the Emerald Coast city. The Northwest Florida Regional Airport services this Northwest Florida vacation destination known as "The World's Luckiest Fishing Village." 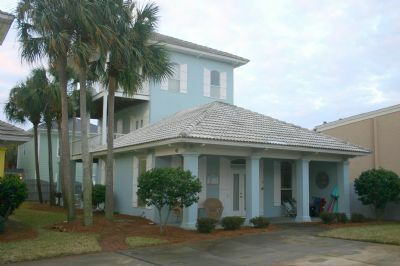 While Destin has grown in the past decade, with vacation rental homes and condos lining the beaches, there is so much history and beauty to find on your vacation to the Emerald Coast. 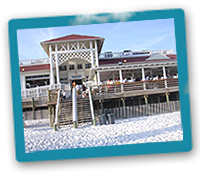 The beaches of the Emerald Coast have many unique attributes that shine above other vacation destinations. For example, the sugary-white, powder-soft sand is no ordinary sand. Its amazing color comes from millions of tiny Appalachian quartz that have filtered down from the mountains through the Apalachicola River. It is this spectacular stone, ground to a perfect oval in each grain, which makes the sand �squeak" when you walk on it. An impressive array of marine life can be found at any time of year. Dolphins frolic year round in the Gulf, bays and bayous, while sea turtles nest between April and November. The natural foliage is a delightful blend of delicate sea-oats, wildflowers, scented magnolias, sand pines and various palms. Many artists have tried to capture this distinctive mix of sub-tropical plant life, but nothing truly matches nature's handiwork. Pods of stingrays migrate in the early fall, and the often comical sea-gull is always around to provide entertainment. 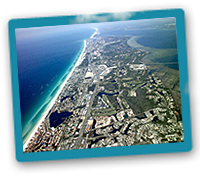 Destin's beaches meander for 24 miles along the coastline, 60% of which are protected by law. A safe and beautiful beach environment is always a top priority to City Council members. For this very reason many local parks such as Beasley Park, James Lee Park, Ed Walline Park, and Henderson Beach Park all provide ADA accessibility, showers and bathrooms for all to enjoy. The sun is also kind to vacationers and locals alike, providing us with an astonishing average of 343 sunny days per year! Destin's Emerald Coast is so inviting... simply irresistible! 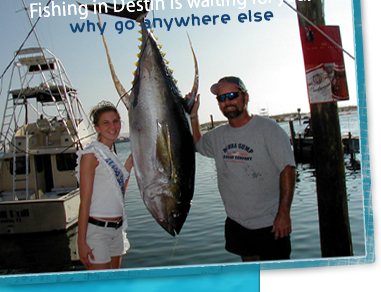 Destin started as a fishing village and it still has great fishing all year around. 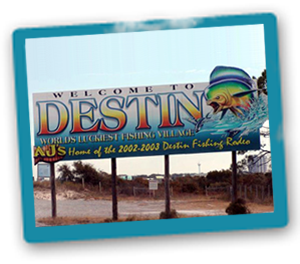 The Destin Rodeo is the ultimate fishing tournament for anglers of all kinds. More than 30,000 anglers compete throughout the month of October for over $100,000 in prizes ranging from trophies and merchandise to bonds. Whether you're trolling inshore for King Mackerel, offshore for Marlin and Sailfish, or fishing the deep bottoms for Red Snapper and Grouper, you'll be in the running for daily, weekly and overall prizes in men's, women's and junior anglers' categories. Virtually every game fish is recognized with awards during the Rodeo. It's free to anglers who fish aboard boats registered in the Rodeo. That's right, there's no fee to fish the tournament so you can come down anytime during October and join in the fun. The weather in October is usually just great, with sunny skies and moderate sea breezes. Average high temperatures are about 80", average lows are 60". The water temperature is a mild 81" and there is an average of only 3.0" of rain during the entire month. 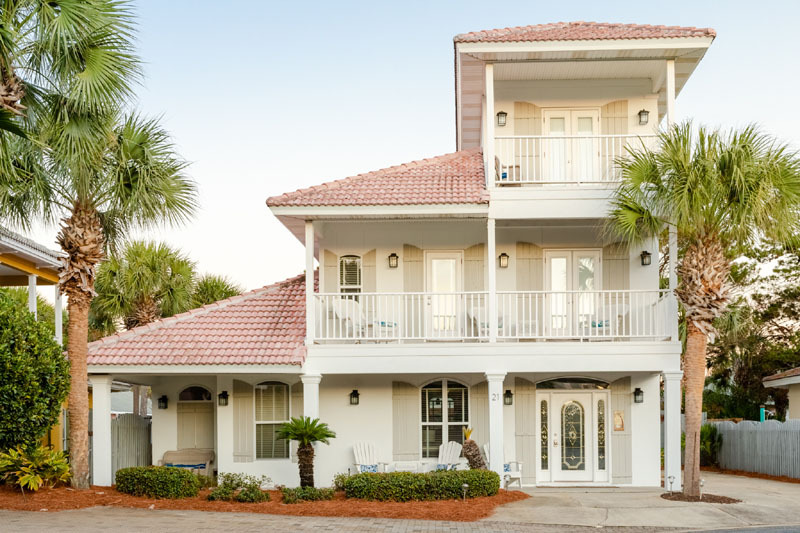 Now that you see all Destin has to offer, book your family vacation online here today at www.emeraldshoresbyowner.com We look forward to having you stay with us!